During the 2019 APCE Annual Event in Galveston, Dr. Michael Waschevski taught an educator certification course on Worship and Sacraments. The group reflected on the role, issues, and opportunities involving music in our worshiping communities. The following article is a portion of Chapter 6 from Rhythms of Worship (Westminster John Knox Press, 2014), a book Waschevski co-authored and one of the required texts for the course. Music in worship is not an end unto itself. Music in worship is meant to invite the congregation to participate in ways that inspire and nurture. This happens when we listen to preludes played on an organ, anthems sung by a choir, offertories rung by handbells, or musical works played by instrumentalists of all varieties and configurations who offer their praise and worship on our behalf. Musicians (professional, avocational, amateur, and recreational) offer their gifts in ways that inspire and nurture a listening congregation. Beyond simply providing listening opportunities for a congregation, instrumental music and vocal music has the ability to move us through the liturgy in ways (often subconscious) that unite the liturgical elements of the worship service and foster an experience that can speak deeply to our hearts and souls. The primary role of instrumentalists and vocalists in worship, though, is to facilitate the participation of the congregation in offering its own songs to God. From our beginnings in ancient Israel, to the early church, and throughout Christian history, congregational singing has included hymns, psalms, and spiritual songs. Hymns are metrical compositions adapted for singing praise to God. Songs include a variety of non-metrical compositions. 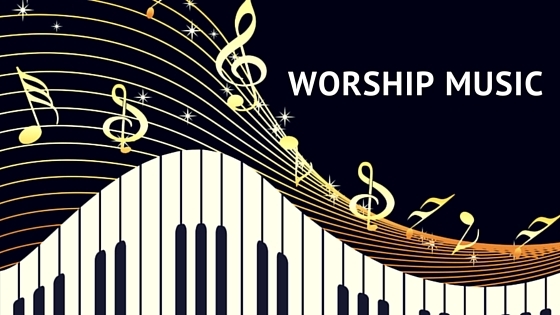 In our services of worship, congregations often sing several hymns or songs along with various pieces of service music (a Kyrie, a doxology, or an amen, for example). At no time in the history of the church have we had available to us such a variety of congregational song. To be honest, though, the variety can be a bit overwhelming. Look in the index of any mainline denomination’s hymnal or songbook published in the last 20 years and you will find early church chants, Reformation-era chorales and hymns, early American folk tunes, nineteenth-century gospel hymns, African American spirituals, contemporary Christian praise and worship choruses, short songs from the Taizé and Iona communities, and hymns and songs from around the world in languages, rhythms, and styles very different from one another. The variety, while initially overwhelming, is also an exciting gift to the church. Congregational singing has the ability to unite our hearts and voices not only with those with whom we sing in worship, but with the church through all times and in all places. The variety of congregational song speaks to Long’s observation that vital and faithful congregations experience music that is eclectic in style and genre. Rather than settling for overly simplistic divisions into traditional and contemporary—remembering that those terms are as relative as the hearer’s own experiences—congregations should strive for singing experiences that blend a variety of styles and genres together. For those planning and leading worship, careful attention should be paid to how music is used in the service of the liturgy, what the genre and style requirements are for a particular piece, and how a congregation is invited, instructed, and supported in its fullest participation. Long also mentions excellence of music for vital and faithful congregations. Nothing frustrates a congregation’s musical experience in worship more than music played or sung poorly. Musicians and music leaders of whatever ability should devote adequate preparation and practice for worship not only in their directing, the playing of their instrument, or their singing, but also in the intentionality with which they will involve the congregation in singing. For a congregation that is expanding its repertoire of congregational song into new and varying styles and genres, the introduction and support of singing is critical. It is helpful to take a long-term view of increasing this repertoire. Rather than overwhelm a congregation with new hymns and songs each week, consider limiting how much new music is included in any particular service. New songs need intentional and thoughtful introduction. This might include playing them instrumentally or having them sung by the choir or a soloist a week or two in advance of the congregation’s singing them for the first time. Perhaps the choir or soloist could sing the first verse of a new hymn and invite the congregation to join on the remaining verses. If the song is in a verse-refrain format, the choir or soloist might sing the verses, with the congregation singing the refrain. Short songs that are meant to be repeated (Taizé songs, praise and worship choruses, some global songs) need to be given time to settle into the voice of the congregation. It really is okay, and stylistically appropriate, to repeat something more than once! Whatever their instrument, accompanists need to be sure the melody is prominent and that their accompaniments support rather than frustrate the congregation. This is all part of excellence, as much as playing the right notes and rhythms. Music is an integral part of the worship service—congregational singing especially so. Music as an art engages the heart, mind, and soul in ways that often mediate an experience of the holy. As worship seeks to inspire a deepened faith that equips us to be ever more faithful disciples of Jesus Christ, music serves worship well. [i] Thomas Long, Beyond the Worship Wars (Bethesda, MD: Alban Institute, 2001), 60. Dr. Michael Waschevski, a certified Christian Educator, is Associate Pastor for Christian Formation and Pastoral Care at First Presbyterian Church of Fort Worth, TX. In addition to serving on the Presbyterian Committee on Congregational Song, which produced Glory to God: The Presbyterian Hymnal (2013), he co-authored Rhythms of Worship (20124). This summer he will be teaching a Doctor of Ministry Course on Music and the Liturgical Year at Austin Presbyterian Theologian Seminary.